I started the Quest for Inter-City train on August 21, 2012, roughly a year ago – and I’ve yet to start building. I have gathered a bunch of bricks, some new, some old, made a ton of research and a bunch of blog posts, but today is the time to stop stalling and start building. Here are my parts. All black parts are brand new, either from LEGO Shop Pick a Brick or from other new sets I’ve sourced, except for the old Technic Axle 2 (replaced by TLG a decade ago with the grooved cross axle, easier to pull out I guess). 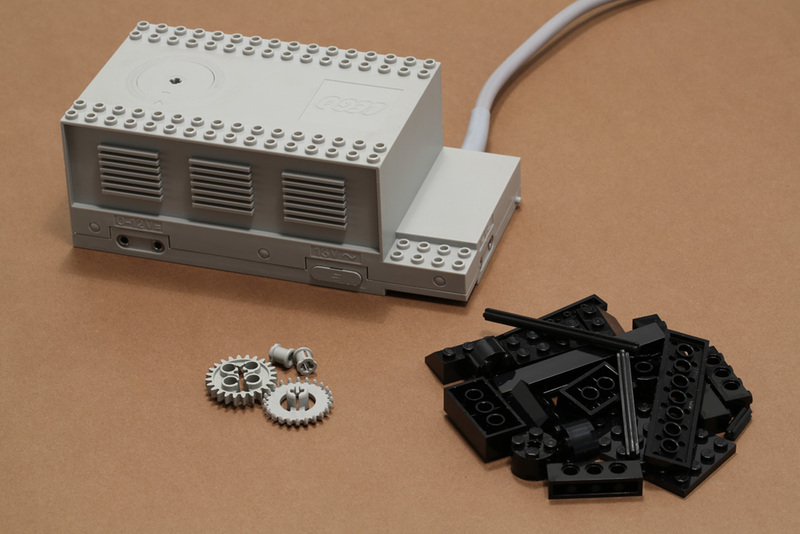 The small axle and the four light grey or old grey Technic pieces come from my childhood collection, rescued from the ruins of 8680 Arctic Rescue Base. 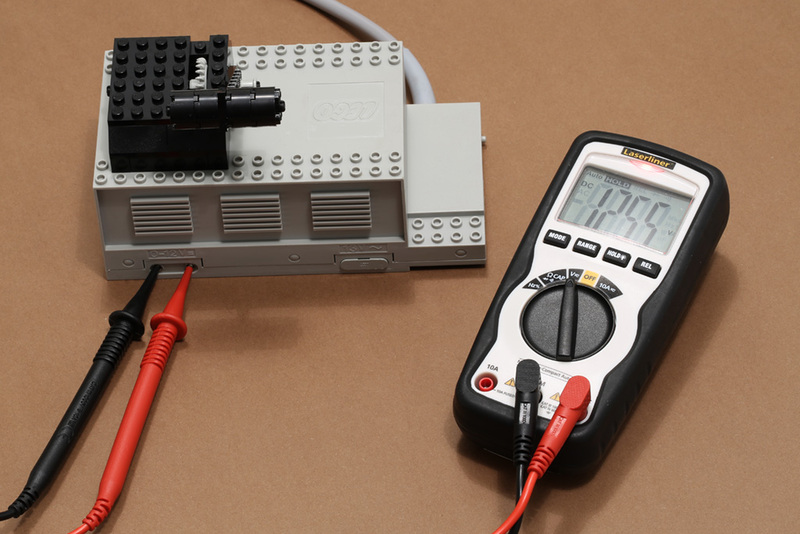 The star of the show, the 12 V Transformer came via BrickLink. Interesting detail: Just like clip plates, there actually exists more than one version of the Technic 24 tooth crown gear, one with short and another with long teeth. I found two such gears from my collection, both I believe with long teeth, even though Peeron suggests my sets should have had short teeth. Maybe there were variations. Anyway, I went with the crown gear I’ve got. After wiping clean the transformer (some comments about that in a future post) and brick-pooling the four bits of vintage LEGO, it was time for action. Now, this is really a small build, just twenty something pieces (24), but attaching it to the giant (by today’s standards) transformer makes it a little special. Once you make sure the regulator is in the center position when fitting it in place, it moves 90 degrees to both directions for driving and reversing. Operating the regulator takes some force, but the Technic gears do their magic and it works well. The regulator also centers nicely, there is a distinct nudge where the “stop” is. I found the setup a little fragile when moving the transformer around though, the gear might get loose, but otherwise it’s fine. And a multimeter confirms – it works too! P.S. Notice the vacant 2×4 studded area on the right side of the transformer. That’s where one or more of the 1980 LEGO Trains remote controls attach. Originally the 7864 12 V Transformer came with 2×4 old/light grey filler plates to be placed on there (or on the last remote control).